You’ve probably heard more talk of Green Tea than actually seen tell of or experienced its benefits, but Green Tea hasn’t achieved its big name and the incorporation into countless fat burning supplements on looks alone. What used to be limited to the practice of ancient Chinese medicine is now spilling over the Great Wall and making its way into drinks, smoothies, ice cream, pills, and even chewing gum. Essentially, you can consume this all day long through the methods currently available and not even notice a change in your daily routine! The most current Green Tea trend is its use for weight loss and is now being used in supplements ranging from detoxes to fat burners, to energy boosters in hopes that its benefits can reach more than just a community of tea drinkers. Green Tea contains catechin called EGCG that acts as a potent antioxidant and therefore has many beneficial effects on the body. EGCG stimulates the metabolism to promote thermogenesis and increase overall calorie burn while it decreases waist circumference, skinfold thickness, and subcutaneous fat. 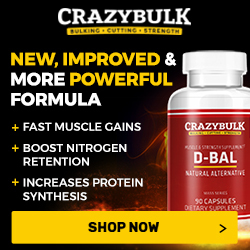 The way EGCG able to do this is by inhibiting an enzyme called catechol-O-methyltransferase (COMT) that degrades the body’s primary fat-burning hormone—norepinephrine. With higher levels of COMT and therefore higher levels of norepinephrine, your body essentially turns into a fat burning furnace. Because Green Tea contains caffeine, it is able to boost energy levels. This aspect is especially helpful for the active dieter because as you cut calories, your energy stores tend to deplete simultaneously. With the added energy from the caffeine, you can be sure to keep your energy levels up even while dieting and be sure to maintain enough energy to participate in regular, physical activity. Additionally, caffeine acts as a metabolism booster and is able to stimulate thermogenesis and add to this ingredient’s weight loss success. As an antioxidant, It contains polyphenols (also known as flavanols or catechins) that are able to detoxify and rid the body of any poisonous waste or debris that may be damaging vital cells in the body. Antioxidants like the ones found in Green Tea work by protecting the cells against free radical damage that can often lead to blood clot formation, atherosclerosis, and even cancer. The best fat burners on the market are going to contain some form of Green Tea and typically combine it with other potent weight loss ingredients to truly maximize the benefits It has to offer. Green Tea supplements can be purchased in pill or powder form and can be found as pure Green Tea or as part of a larger supplement formula. **Often times people interested in discovering the weight loss benefits of Green Tea will turn to a supplement instead of drinking the tea itself because, in order to experience even the most minimal weight loss benefits, you would have to drink 5-6 cups daily. The supplement is a great alternative–just pop one pill and you’re set for the day. 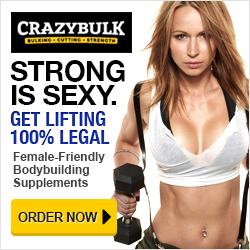 It is one of the most potent all-natural fat burners on the market. If you’re looking to shed pounds, increase your energy, and detoxify your body, there is no better alternative.